Did you know the Landis Brothers had a younger sister? 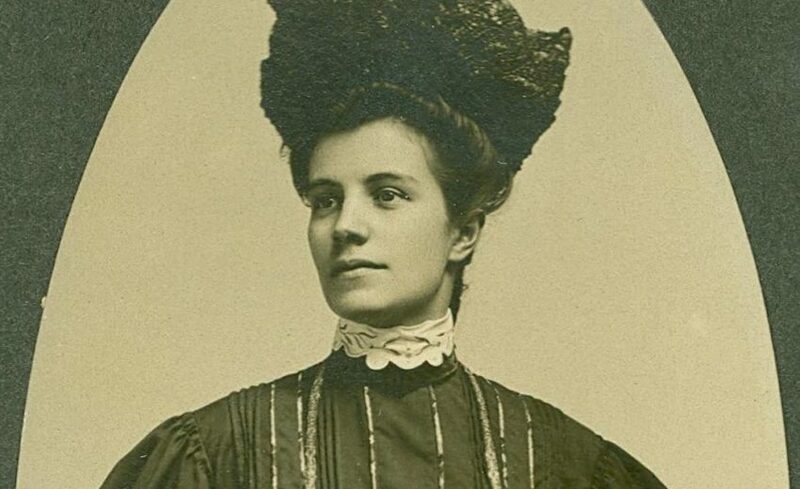 Meet Nettie May Landis on Saturday, May 4, from 11 a.m. – 3 p.m. for an interactive tea and tour experience. Enjoy a full-service tea at our historic Landis Valley House Hotel. Hear stories and correspondences from Nettie’s international postcard pen pals. View some of Nettie’s artwork and learn how art connected her with others. Discover what it meant for her to be a fashionable lady in a predominantly agricultural community. Along the way, join Nettie as she recalls stories from her life that shaped her into a Pennsylvania German woman of the world. Space is limited. To order tickets, contact Jamie Schuring at 717-581-0590. Hours: 11 a.m. – 3 p.m.